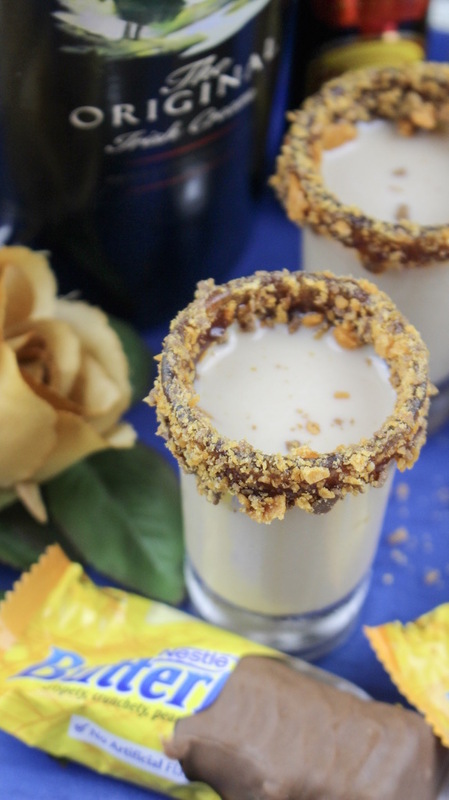 If you and your friends love the taste of the popular candy bar Butterfinger – then this is definitely the drink for you. 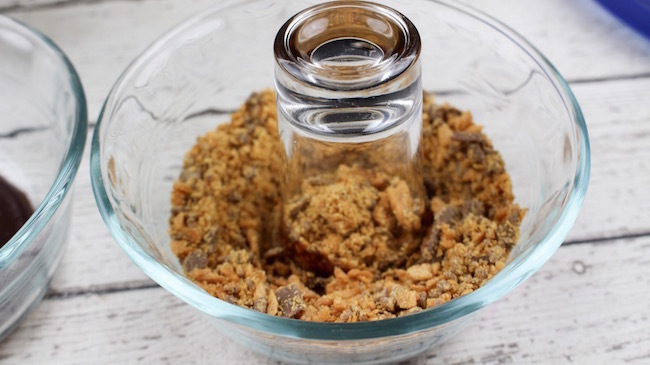 A beautiful mix of sweetness and ingredients that will resemble the taste of this famous candy bar is sure to be a hit at your next event. Bailey’s Irish Cream Butterfinger Shots Recipe! 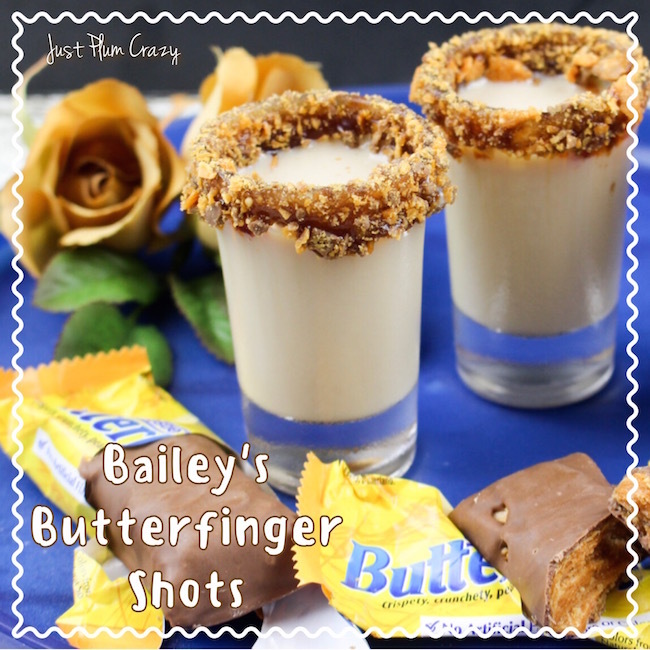 Who doesn’t love Bailey’s Irish Cream or Butterfingers? I love them both so putting them together in one drink is the perfect idea. 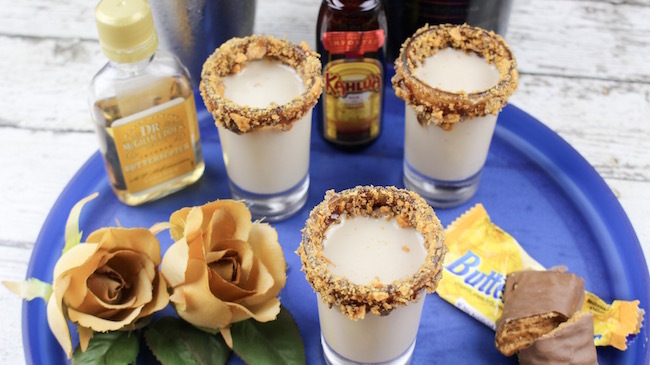 The Bailey’s Irish Cream Butterfinger Shots Recipe is creamy, goes down smooth and will be yours and everyone else’s favorite party drink. This recipe makes 4 shots. 1.5 oz. (1 shot) Bailey’s Irish cream. 1.5 oz. (1 shot) Kahlua coffee liqueur. 1.5 oz. (1 shot) Butterscotch liqueur. 1.5 oz. (1 shot) vodka. 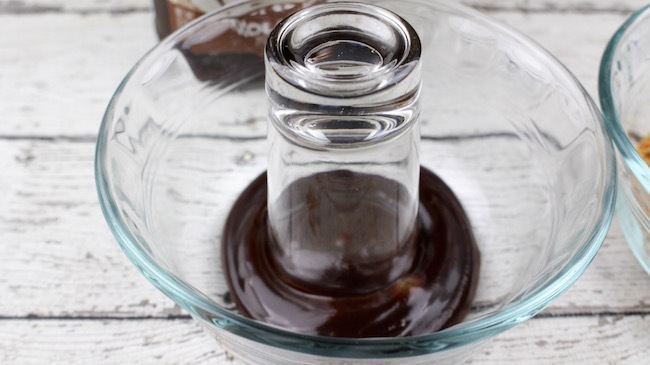 4 Tablespoons Smuckers fudge topping. 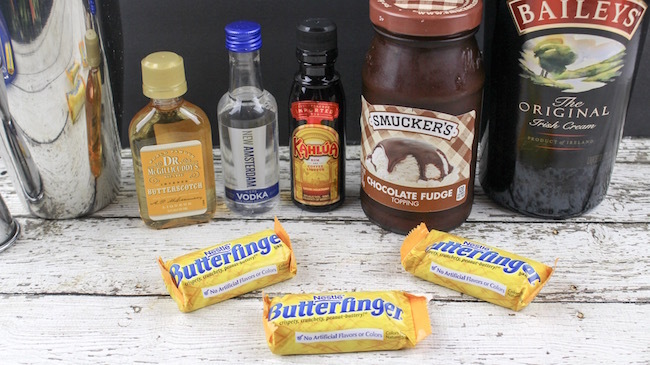 5-6 mini Butterfinger candy bars. 1. 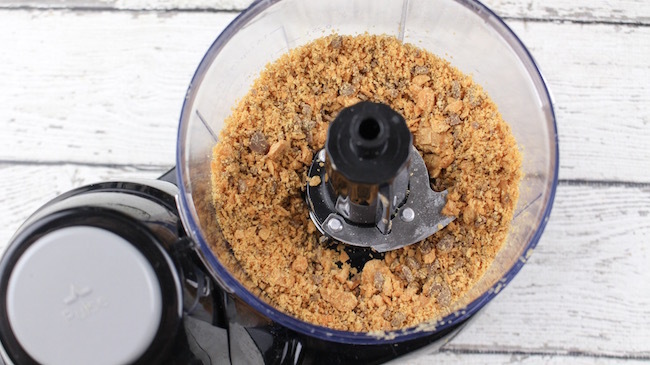 Add the Butterfinger candy bars to a food processor and and pulse until finely chopped. Pour into a shallow bowl. 2. Add the fudge topping to a shallow bowl. 3. 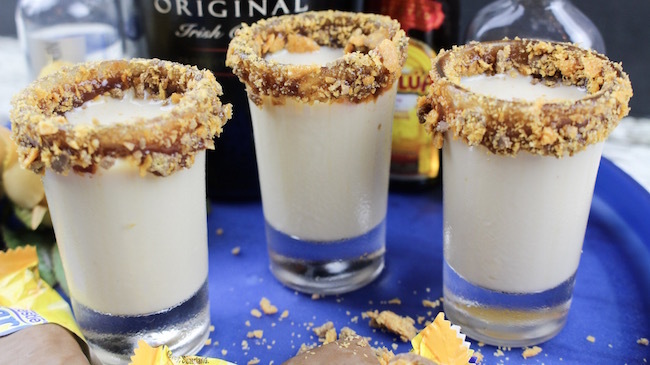 Dip the rim of each shot glass into the fudge topping and then into the bowl with the Butterfinger bits. 4. Chill the shot glasses for 10 minutes. 5. 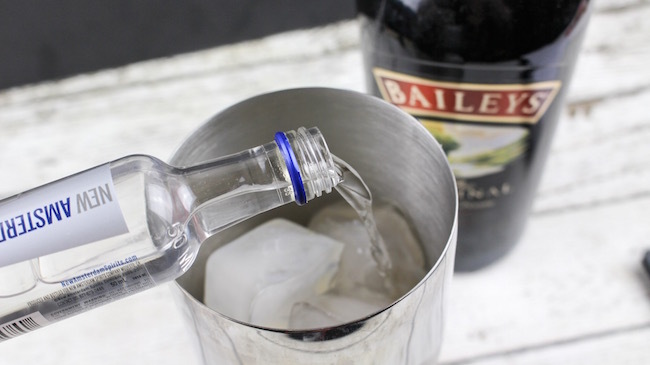 Add ice to a cocktail shaker. 6. 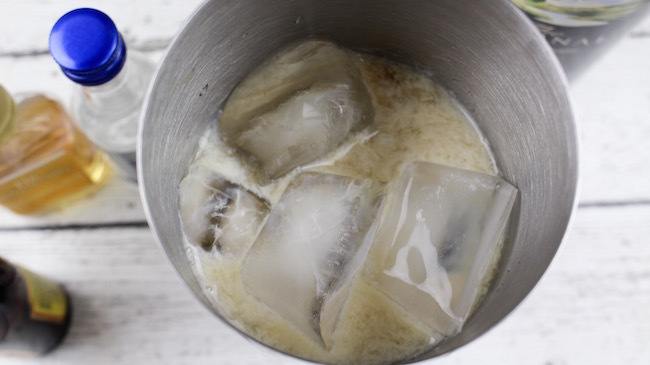 Add the Bailey’s, Kahlúa, butterscotch liqueur and vodka. 8. 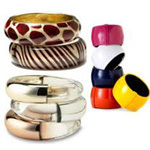 Strain and pour into the shot glasses. 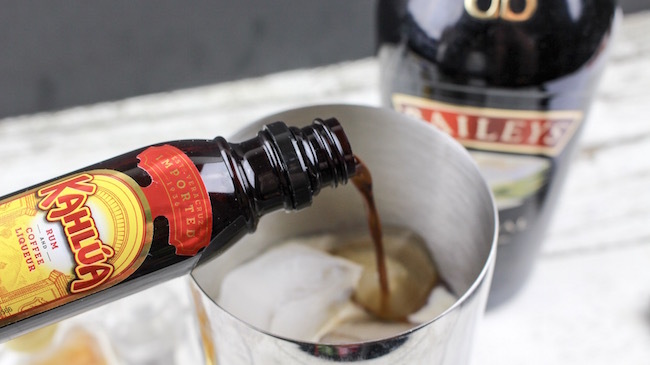 A sweet alcoholic treat that will be a hit at your next event! 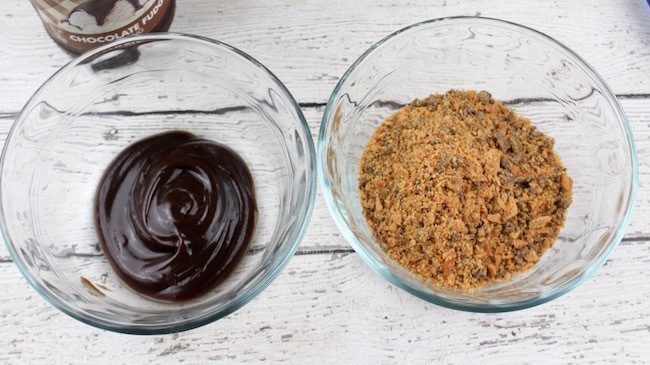 Add the fudge topping to a shallow bowl. 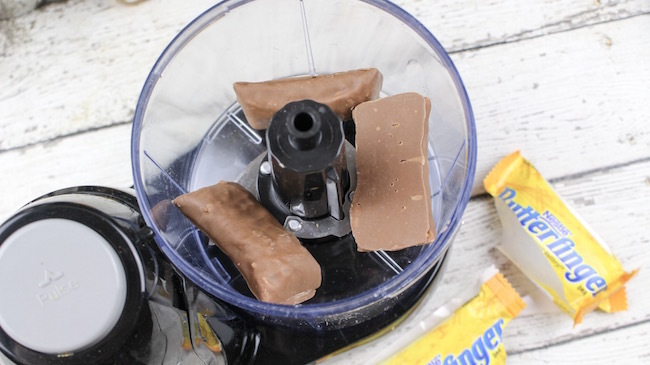 Add the Butterfinger candy bars to a food processor and and pulse until finely chopped. Pour into a shallow bowl. 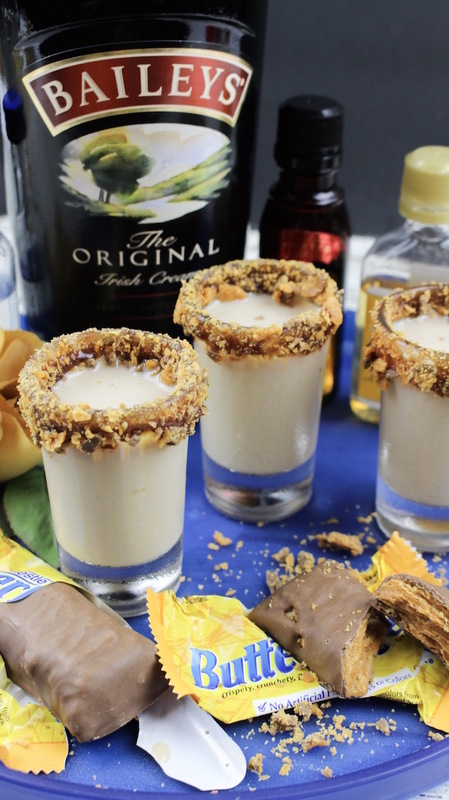 Dip the rim of each shot glass into the fudge topping and then into the bowl with the Butterfinger bits. Chill the shot glasses for 10 minutes. 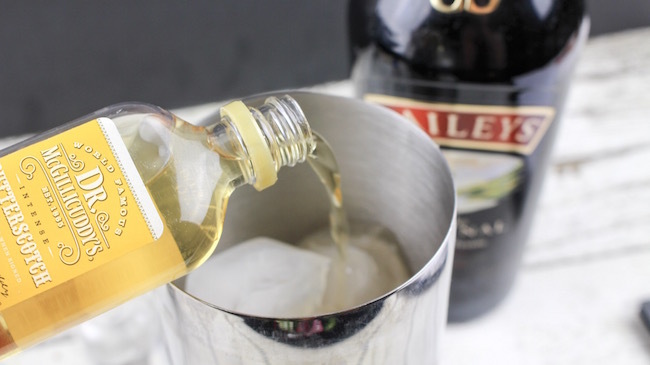 Add the Bailey's, Kahlúa, butterscotch liqueur and vodka. 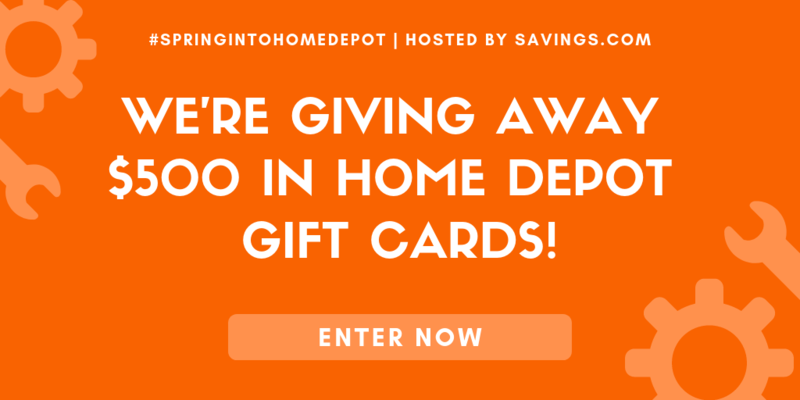 Strain and pour into the shot glasses.